Barcelona is the city to party and we mean it! Enjoy bars, cafes, restaurants and art in the heart of Catalonia in one of the top European travel destinations. All you need is a real Barcelona pub tour experience to fall in love with the city. Just blow off some steam and head for the greens to recover from previous night. We will show you where to go! An ideal day trip from Barcelona would be the Montserrat National Park. The place is easily accessible by car or bus, and it is a vast green area teeming with life. There are special plant and animal species that live here, typical of Mediterranean and tropical regions. The area is dominated by hills and valleys, so a nice pair of comfortable shoes is quite handy. There are numerous hikes here, ranging from easy to very steep and difficult, so you can test your skills. Visit the Montserrat monastery for a little cultural experience on the way back. A shorter and a lot calmer way to enjoy greenery in Barcelona after a pub tour is a trip to Montjuic. The hill is located within the city limits, and it is a popular relaxation spot for locals. Come here for a nice walk and for the great vantage point. The city is visible from the castle on top and the sea breeze will calm your nerves. Try the cable car that takes you to the waterfront for a little extra adventure. 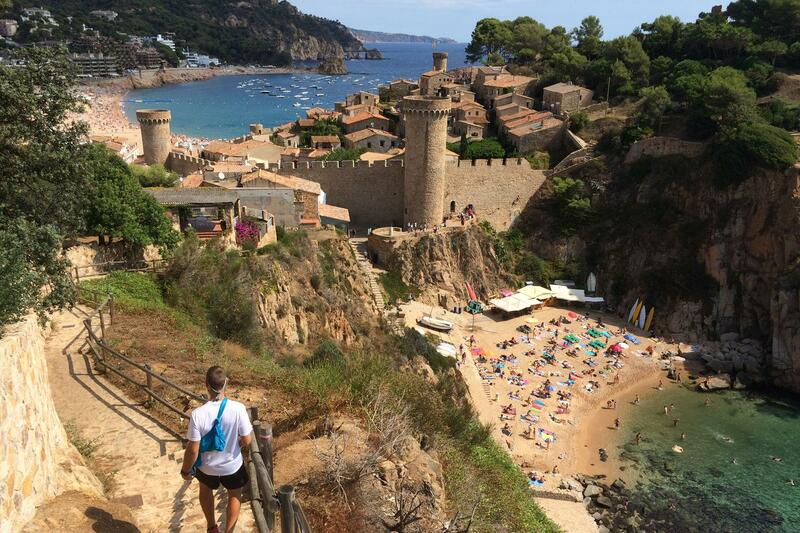 Most people know Costa Brava because of the beaches, but that’s not all to it. If you search the Camins de Rona, you will see breathtaking pictures of a trail next to the sea. Pick up your trekking shoes, and visit this marvelous location by the sea, find your hidden fishing villages and deserted coves along the way! A Barcelona pub tour experience will put you into the party mood for good! Enjoy a street fiesta, party with locals, and find the coolest bars with our experienced guide. All you have to do is visit our website, choose your date, and make a booking! It’s that easy!